Fat Quarter Shop's Jolly Jabber: Double Wide Dresden Ruler Series: Two times the ruler, two times the fun! 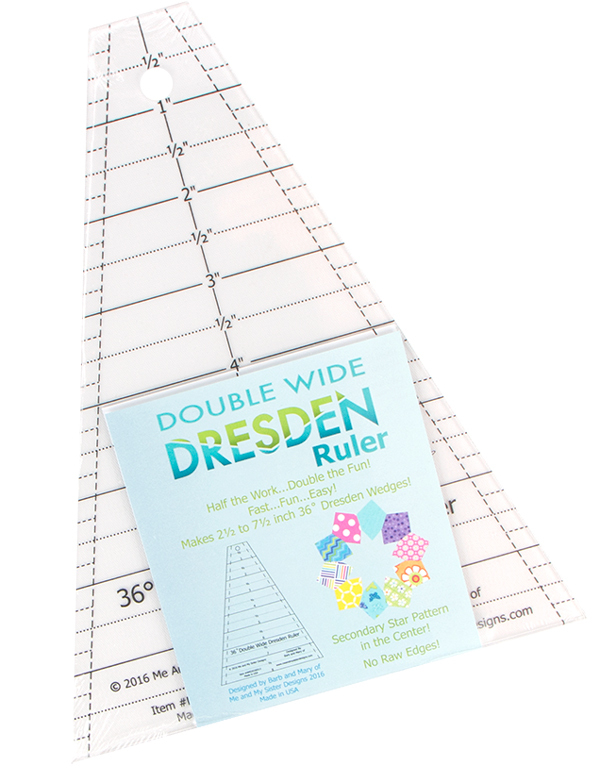 Double Wide Dresden Ruler Series: Two times the ruler, two times the fun! 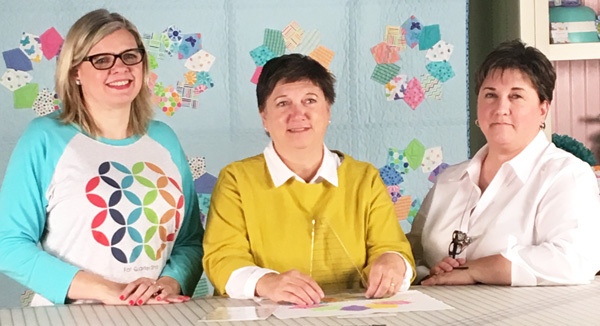 Did you catch our behind the scenes videos and photos on Instagram when Barb and Mary of Me & My Sister Designs joined us in the studio? If you've been anxiously awaiting these video surprises, you're in luck! Today, we're kicking off a week of quilty tutorials with these two! All great projects start with great tools and fabric! 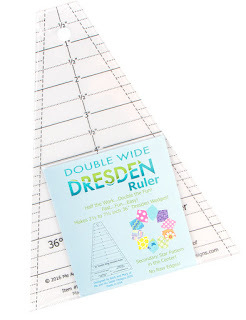 For each project this week, you need the Double Wide Dresden Ruler from Me & My Sister Designs. This is the traditional dresden ruler that you know and love - but better! The Double Wide Dresden Ruler is 36 degrees and has 10 wedges! It's less work and even more fun! 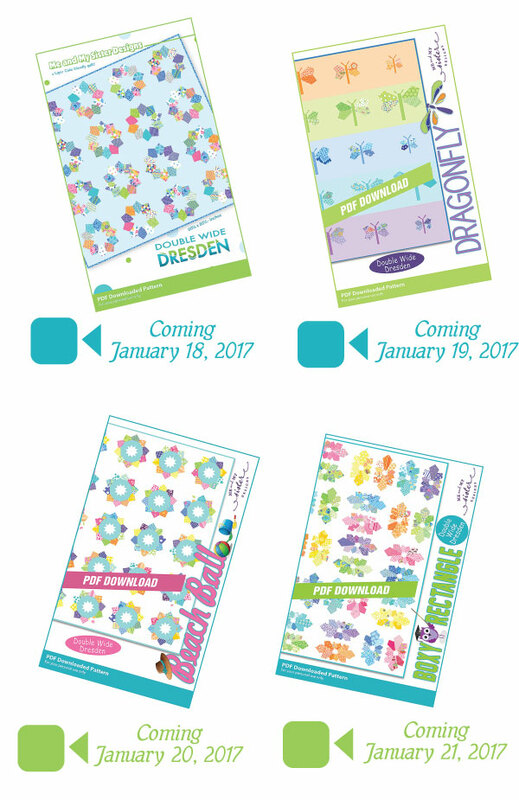 This week, you'll get to see four videos of brand new patterns, each showcasing the Double Wide Dresden Ruler! So purchase your patterns, grab your ruler, and be sure to tune in! You won't want to miss all of the fun!